Settlers first began establishing businesses in the area occupied by New Port Richey about 1914, when a hotel and hardware store was opened to cater to new landowners. "Enchantment Park", on the banks of the Pithlachascotee River, seemed an idyllic setting for a town center, and was actively promoted by the Port Richey Company to rich northerners. Originally settled two miles to the north at Port Richey, the town of New Port Richey gradually split away and developed into the primary population center of the area. "Enchantment Park" continued to be a centerpiece for the new town, and in 1924 it was named "Sims Park" after George Sims - owner of the Port Richey Company and one of the founding fathers of New Port Richey. The park continues to be a feature attraction of the downtown area today, with mega-playground, bandshell and concert ground, boat and kayak launches. Adjacent to the park is the historic Hacienda Hotel that was opened to great fanfare in 1927, and a concrete bridge was built across the Cotee River that same year. Just two years prior, famous silent film actor Thomas Meighan had begun construction on a theater that would later become known as the Meighan Threater. The theater is now know as the Richey Suncoast Theater, and continues to offer regular stage productions. During the heyday of New Port Richey, many rich and famous people lived in the area, including the aforementioned Thomas Meighan, actress Gloria Swanson, jazz musician Paul Whiteman, and composer Irving Berlin. Pro golfer Gene Sarazen developed a golf course on the land around Orange Lake in the downtown area. Today, New Port Richey continues to be a thriving town with an active historic town center and main street. Several annual festivals are held in the downtown area, including the Chasco Fiesta (week-long celebration in March), the Cotee River Seafest (April), and the Cotee River Bike Fest (October). 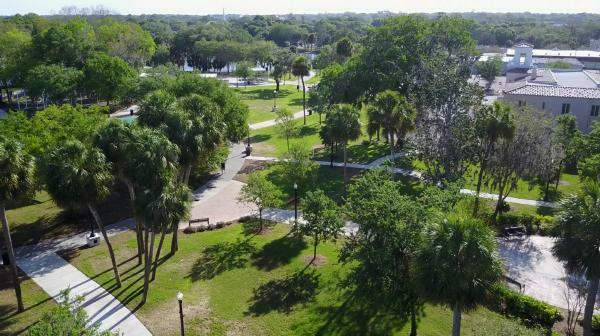 In addition to Sims Park in the downtown area, New Port Richey is home to a number of neighborhood parks, the James E. Grey Preserve, and Frances Avenue Park. Kayak/canoe launches are available at Grey Preserve, Frances Avenue Park, and Sims Park. Motorboats may be launched at the ramp across the river from Sims Park.